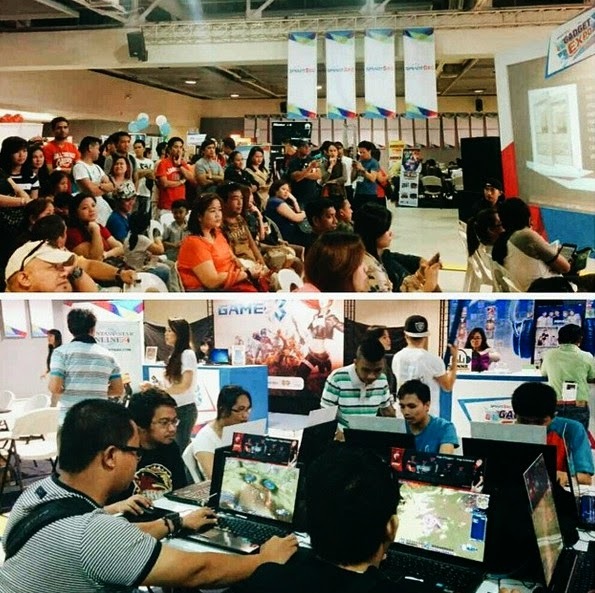 Last Saturday - July 26, 2014 - at SM MegaMall in Pasig City, Smart Communications kicked off what it calls "the biggest tech convention in the country." 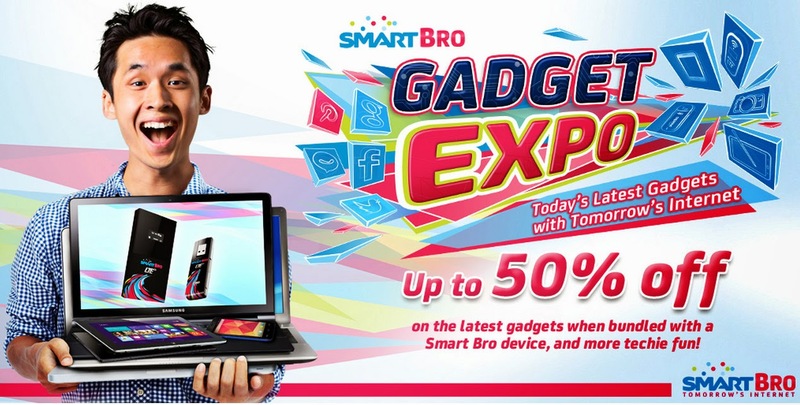 Supported by the biggest electronics brands in the country including O+, Sony Mobile, LG, Lenovo, Asus, Acer, Huawei, ZTE, Samsung, Coby, Starmobile, Sony Playstation, Microsoft Windows Phone, Power Mac Center, MSI, Beyond the Box, Alcatel and more, Smart Bro Gadget Expo is a community event where all Smart subscribers can avail of discounted devices - some up to 50% off, join gadget auctions, and listen to tech talks and product demonstrations. 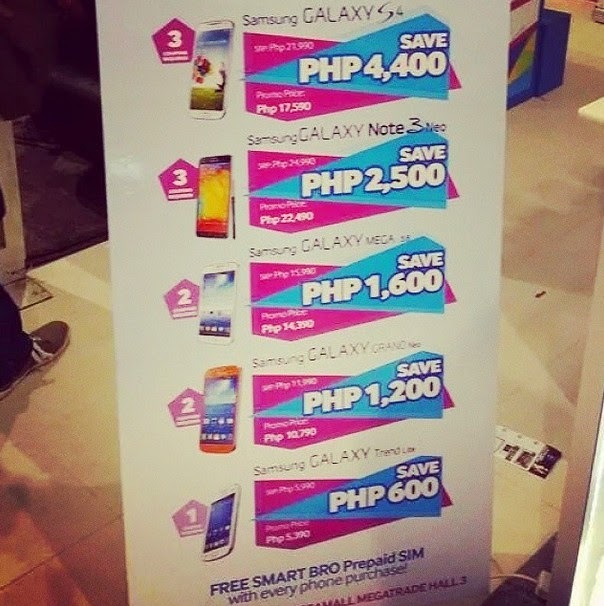 Heavily discounted Samsung Galaxy smartphones - like Samsung Galaxy Note 3 Neo which went for only Php 22,490 and Samsung Galaxy S4 priced at just Php 17,590 - were a blockbuster during the event. All handsets even came with a free Smart Bro Prepaid SIM. 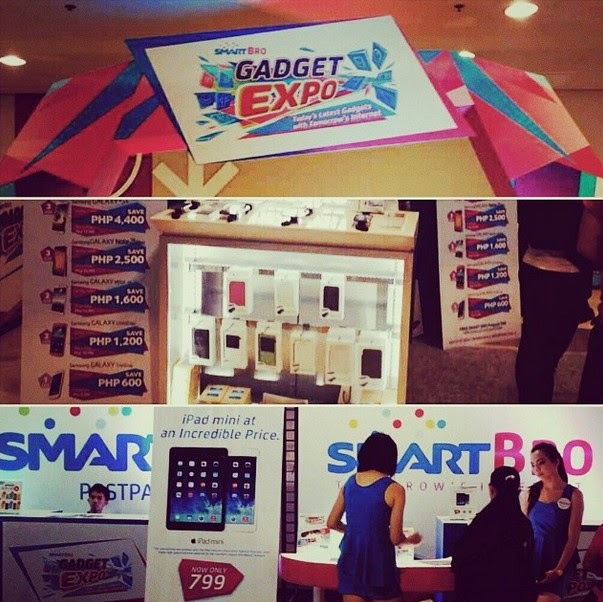 Smart also set-up booths where consumers can quickly and conveniently sign-up for affordable Smart Bro postpaid plans that are bundled with high-end and powerhouse devices like the Apple iPad Mini. Imagine: For only Php 799 a month, you can already own the Cupertino company's aluminum-clad Mini slate and enjoy high-speed internet connection when browsing the web, uploading photos, or checking and updating social networking applications on the tablet. Gadget auctions starting at just 1 peso, free games, and product demos like that one given by my friend, Doc Reg Ramos, for Alcatel were some of the highlights of the event at SM MegaMall. Some Smart fans were able to bring home their dream smartphones and tablets for 50% less than their regular SRP -- all while learning more about the devices before bidding or making a purchase thanks to tech talks given by brand representatives. Missed the event because you're not based in Manila? Don't fret! 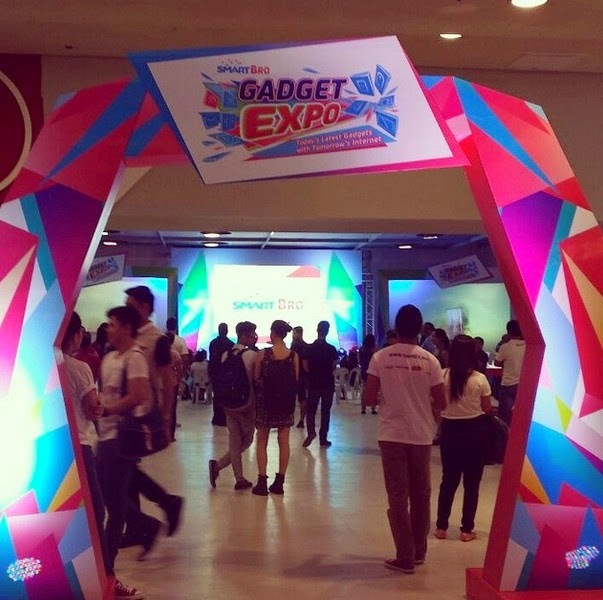 #SmartBroGadgetExpo merely started this weekend and will go around the country – Pampanga, Batangas, Cebu, Davao and Cagayan de Oro – from August until October! So don't forget to follow Smart Communications and TechPinas on Twitter, Facebook, and Instagram for the latest updates about this fun treat from Smart Bro!